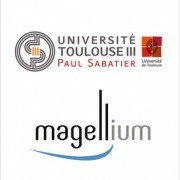 In the framework of the reprocessing of MSS (Multispectral Scanner), TM (Thematic Mapper), ETM+ (Enhanced Thematic Mapper+) LANDSAT archives and with the approval of ESA, Magellium is putting online a database of “level 0” product qualification that makes it possible to anticipate “level 1” product quality with a fine level of characterization. The approach has been acknowledged recently by the USGS. The database is accessible at http://bit.ly/1uYP1aL. The report search is possible from the archive name or from the user product (WRS scene, observation date…). The database is complete and contains all QC reports of LANDSAT products distributed by ESA (except LANDSAT8). This work has been realized in the framework of LTDP programs (Long Term Data Preservation) of ESA (http://earth.esa.int/gscb/ltdp/). To support its development, Magellium opens 2 engineers positions (IT consulting and software development) for Magellium Paris (LePecq – 78). You will find more information at joinus. On October 22th, Sophie Ribes has received her Ph.D. degree in radiophysics and medical imaging from Paul Sabatier University of Toulouse. Her work was founded and co-supervised by Magellium. The purpose of the thesis was the individual estimation of the X-ray dose received by patients during mammography. Sophie has developed a methodology to estimate the 3D configuration of breast components (skin, gland, muscle and fat) during the mammography exam and estimate by Monte-Carlo simulation the radiation received by the gland.